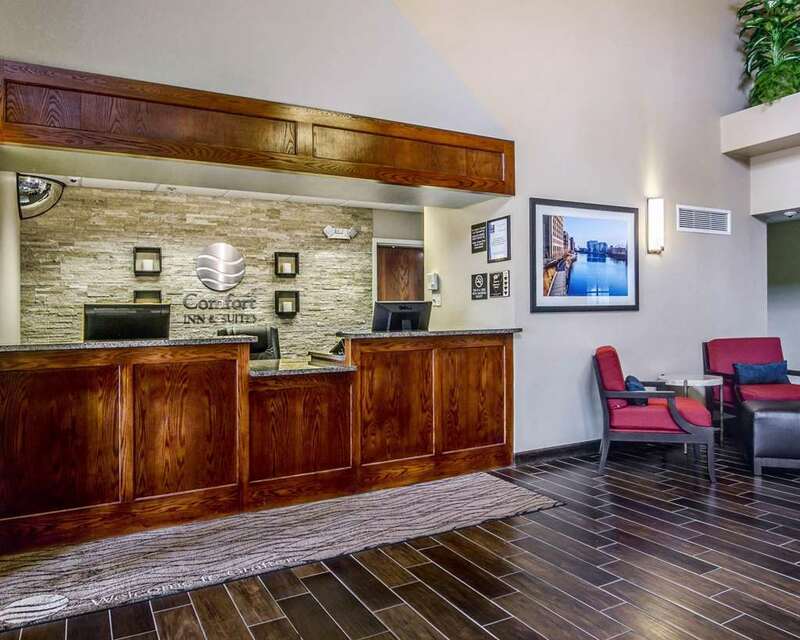 Our Comfort Inn and Suites hotel in Grafton, WI will help you get rested and ready for anything. Our smoke-free hotel is near Lake Michigan, Cedarburg Cultural Center, Cedar Creek Settlement, Concordia University Washington and Port Washington. Each guest at our pet-friendly hotel can enjoy our free breakfast, free WiFi, indoor heated pool and a hot tub, exercise room, free weekday newspaper and laundry facility. Each guest room comes equipped with an HDTV, refrigerator and microwave. Our Choice Privileges program will allow you to earn rewards points that can be used for free nights at our hotels. *Some amenities may require additional costs.